Albertans spent a record amount at restaurants and bars in June in the latest sign that people around the province are feeling good about the economy, according to ATB Financial. 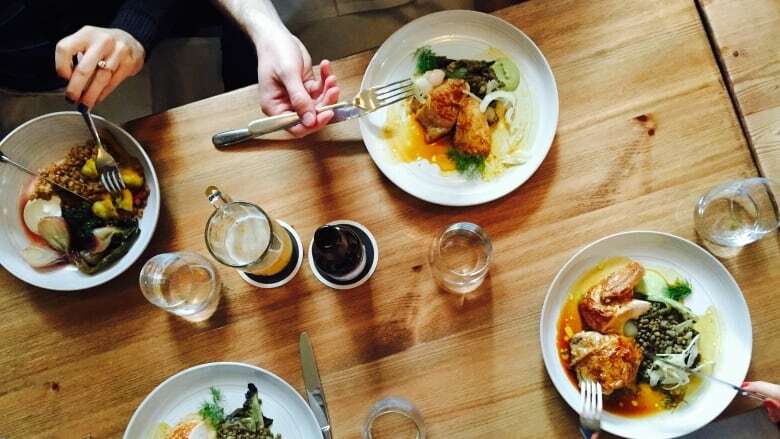 Albertans spent a record amount of money at restaurants and bars in June in the latest sign that people around the province are feeling good about the economy, according to ATB Financial. 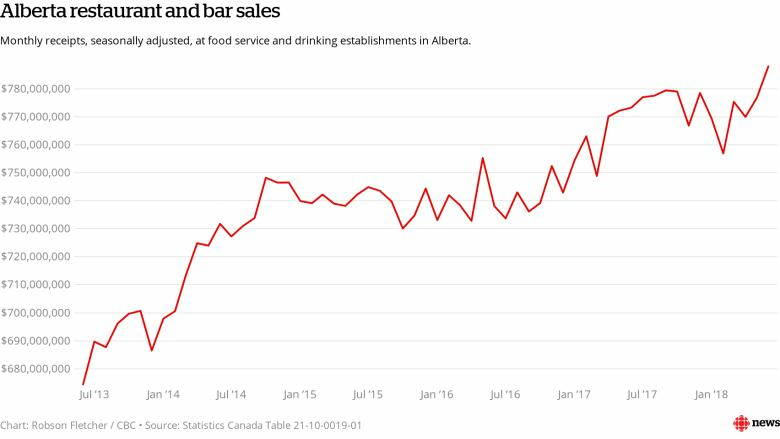 The bank's economics and research team says the latest Statistics Canada figures showed Albertans rang up $788 million in June at restaurants, bars, pubs and caterers. The figure for June was up by 1.5 per cent over May and by nearly three per cent year over year. "The latest restaurant figures confirm consumers are feeling positive about the future of the economy, their job situation, and the overall steadiness of the restaurant industry," ATB Financial said in a release. "But not every restaurant is prospering." Businesses are coping with higher labour costs as food costs go up and the minimum wage gets boosted by the provincial government, ATB Financial says. On Oct. 1, Alberta's base wage goes up from $13.60 an hour to $15 per hour, which will be the highest in the country. These rising costs have been forcing restaurant and bar owners to dip into their revenues, the bank notes. But Mark von Schellwitz, regional vice-president for Restaurants Canada, says the statistics cited by ATB Financial don't paint an accurate picture of the challenges facing Alberta restaurants. He says looking at average unit sales, as opposed to cumulative sales, reveals that receipt values are really down substantially. "They're still nowhere near the same average food service sales per unit that they were in 2014 and 2015. In fact, they're about three per cent down," he said. Von Schellwitz says it also has to be noted the increase in spending is partly just a reflection of menu inflation — prices have gone up as business owners try to recoup the costs of higher wages and food price inflation. He adds that continued job losses also demonstrate how much the industry is struggling to cope with higher wages and Alberta's carbon tax. "According to Statistics Canada labour force employment data, Alberta food service and accommodation sales, since the beginning of this year, we've shed an additional 2,300 jobs," he said. "The carbon tax is another thing that has increased our prices unnecessarily and our members are saying, we should get a rebate for that because, you know, it is such an essential part of what we do. "And unless we're just serving salad and sushi, you know, you have to cook your food, you need natural gas to do that."